[Following World War II] the situation was dire for US strategists. With the overwhelmingly pro-communist world sentiment following the defeat--primarily by the Soviet Union--of the Nazis, it was very much touch and go. But Mackinder was not so worried, and anticipated the Cold War as not such a bad thing for the long term interests of the empire. He was more worried about a resurgent western Europe with the now reformed Germans as the engine of prosperity. He had read his Haushofer, remembered Rapallo, and saw the real threat to the Anglo-American empire not from a now devastated Russia, with a crude planned economy and a ruthless dictatorship, but from an independent Europe, which unless tied carefully to the US, could become the postimperial social democratic alternative to empire and come to terms with the Soviet Union, opening the Eurasian heartland to itself. He argued that western Europe, above all a resurgent Germany, would be the main challenge to post-war Anglo-American hegemony. It did not matter whether the Soviet Union was still friendly to Washington or a Cold War foe. 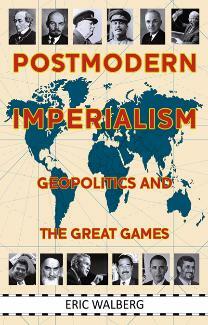 What was important was to contain western Europe and keep it solidly in the US sphere of influence after 1945. When I looked up Walberg's books on Amazon, I found a new tool for the manipulation of the 99%. Customer reviews were followed by a section I had never seen before, titled: "What Other Items Do Customers Buy After Viewing This Item?" One was a book by Zbigniew Brzezinski, another was by neocon Robert Kaplan, and a third (out of four) was published by Praeger, a conservative publishing house. What a clever way to steer readers away from progressive books! 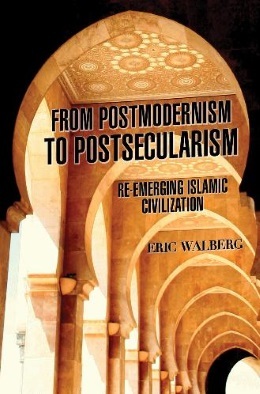 As a natural sequel to "Great Games" and with the same post-modern slant, in From Postmodernism to Postsecuarlism: Reemerging Islamic Civilization Walberg documents both the history of Islam and its main players, by country, period and theme. As in Postmodern Imperialism, the illustrations and maps are exceptional, and the author's assertions are backed up by extensive references. 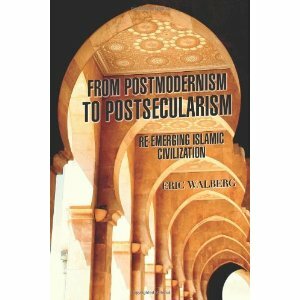 It is clear from the start that Walberg sees Islam as not so much better than other religions but better than western civilization's destructive message, with respect both to humans and their environment. Reviewing Islam's present and past positions on economics, politics and nature, Walberg notes that while it is presented to contemporary western publics as inherently violent, Islam has never built empires. (Currently, Iran is developing nuclear power for energy and medical use, however in its millennium and a half Islamic history, Persia has never invaded another country, the eight year war with Iraq in the 1990s having been started by Iraq, with American help"). The most important--and least known--message of this book is Islam's emphasis on equality, both between classes and the sexes. While recognizing that women are at a disadvantage in contemporary Muslim society, Walberg cites Western female converts affirming that they like wearing the hijab because it protects them from lascivious male advances. The fact that many emancipated women do convert would be otherwise incomprehensibl. Finally, Walberg spells out the political aspect of the Sunni/Shia divide, which is consistently ignored by most people writing about the West's problems with Islam. That the Shia have traditionally been the downtrodden is made clear in this work. The Iranian revolution did not come out of nowhere. 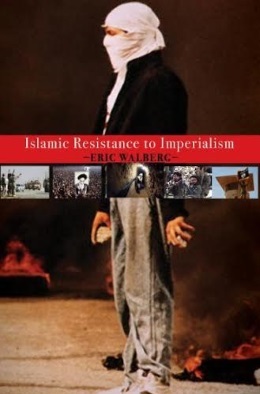 Walberg's monumental work is required reading for anyone seeking to view current events in their broader dimensions. Beyond the current threat of ISIS lie fundamental questions of civilization, which are coming to the fore in the standoff between the United States and Russia. That standoff has two separate facets: the one emphasized by the West is about territory: hungry for Russia's vast mineral resources, Washington accuses Russia of violating international norms by returning Crimea to its centuries-long status as part of Russia, and of backing Ukrainian separatists, while the US feigns innocence when it engineers a coup d'etat against the democratically elected Ukrainian president with the goal of setting up on Russia's doorstep, the better to undermine it. This is what is reported, more or less accurately, in the news. But beyond the political aspect of the standoff lies a cultural chasm, illustrated by Vladimir Putin's rejection of consumerism and vulgarity, that is shared by the growing anti-globalization movement as well as the Muslim world that comprises a fifth of humanity. Walberg writes: "Traditional Islamic society operated on the principal of social order where sanctions on behavior and promotion of art were intended to strengthen society, not artificially create excitement, tension and turmoil as in the West today." Belatedly giving Samuel Huntington his due, I believe that if Washington's aggressive policies do not end in a nuclear holocaust, the coming world face-off will be cultural: against US-led globalization as the engine that drives what I call vulgarity and wich Putin and many other leaders call decadence: the endless promotion of 'stuff' and 'fun' that transforms sentient beings into mindless consumers, indifferent to what their governments are doing both to themselves and other human beings across the world. And although I have been an atheist since the age of then, I believe that Islam will play a major role in that ultimate Great Game.